It's nearly time for this seasonal event organised by our fabulous PTA! 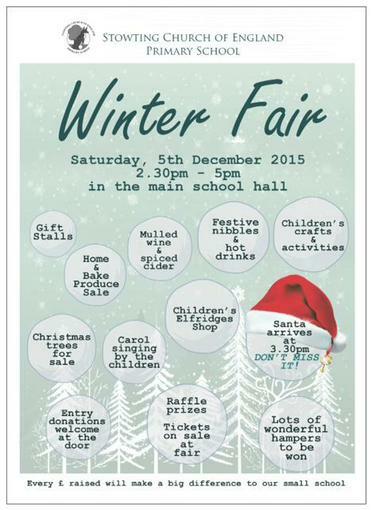 This is always a wonderful fair with gifts, stalls, carols, crafts, Christmas food and drink. What better way to get into the Christmas mood? Please share this post with family and friends who would like to come along and support us, and help to raise money for the benefit of all the children in the school. Thank you!